Color and design patterns can break the monotony of solid looking decor. Mexican tile “Apodaca” with its darker but vivid colors, will add visual interest that improves the style of any renovated room and creates a fun but sophisticated look. 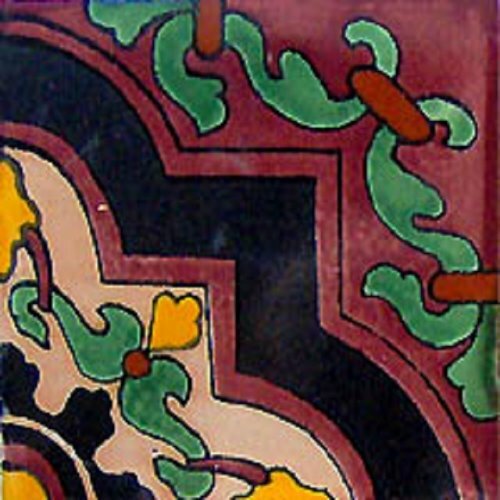 This hand-crafted Mexican tile is painted with a dark purple, green, red and yellow and can be used as an accent tile in rustic bathrooms and kitchens.